Is engine braking bad or good? 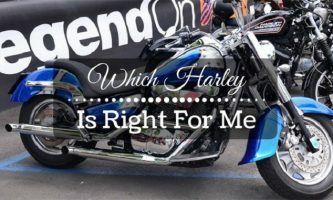 This is unarguably one of the most debatable questions among bike-lovers. 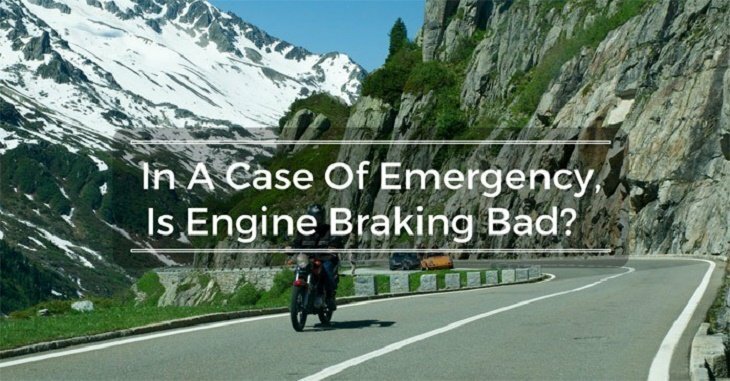 How often did this simple question ‘is engine braking bad’ left your mind boggling? Well, here we have gone all-out to figure out various aspects of engine braking to put an end to your concern forever. 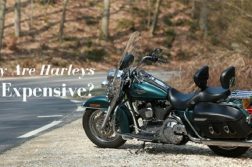 Actually, if you look into certain aspects of motorcycles such as when it comes to preventing piston ring wear particles from going into engine oil, engine braking will seem good. Because of the sudden pressure that comes from engine braking, all such wear particles are sucked up and thrown out in the exhaust stroke. But this is just one benefit we are referring to here otherwise there are various major side effects of engine braking. The most serious concern following engine braking is the locking of rear wheel at once which leads to skidding off your vehicle. When the gear is lowered and the clutch is engaged suddenly at very high RPMS, rear wheel gets locked all of a sudden. Not only is this the cause for your vehicle to skid but it is also bad for your clutch and transmission. All the stress that comes from powerful engine braking puts negative implications on clutch and transmission as a result. In order to prevent your clutch from having to deal with such unwanted implications, it is always sensible to engage the clutch slowly. 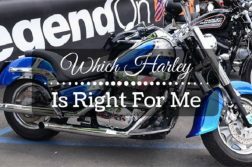 As we all know, an engine of our motorcycle is basically a pump where the air is compressed and then ignited with fuel for producing energy as a result of enhanced pressure. This procedure is a well-thought-out combination of compression and combustion where compression takes energy while combustion produces more energy than what is consumed during compression. But when we apply the same concept on engine braking, we see the engine compresses air by using the power of the motion performed by vehicle and does not consume enough fuel to produce pressure. So, this means that forward motion directly converts to air compression and slows down the vehicle. So, engine braking is the total opposite of what an engine is designed to do. In What Circumstances People Often Use The Engine Brake? 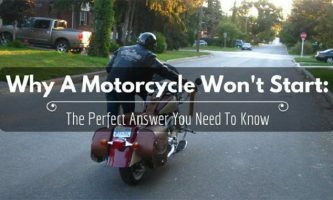 Because of the laws of physics, front brake in a motorcycle is always more powerful than the rear one. How many times have you seen a rear tire of a bike in the air when the driver hit the brakes extremely fast? This is because 100% braking power of the motorcycle is in its front. But if this is the case and all the power lies in the front brakes, why do people use the engine brakes at all and in what circumstances? What will happen if a person ahead you can’t stop as quickly as you thought he would? Obviously, you will need to slow down your vehicle at once to prevent any unwanted accident. If you have ever driven a vehicle with a manual transmission, you probably know how to get a greater effect by downshifting first. Just getting off the throttle will cause your vehicle to slow down. But because engine braking works on the rear wheel, it makes stopping faster, simpler and smoother. 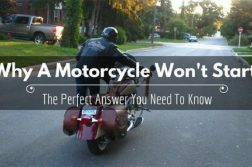 Engine braking enables the riders to stop in the shortest distance possible in cases when it becomes absolutely unavoidable to use any other way of stopping the vehicle. It differs from a routine stop only in the amount of pressure which is applied to the brakes. 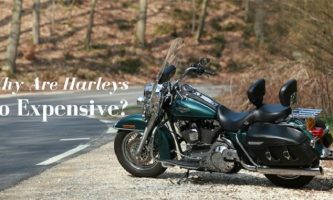 Engine braking helps bikers a lot more than car or truck drivers. This is because bikes can accelerate faster than cars because of light weights and also decelerate faster with engine braking because they are lighter. And the horsepower of the engine is irrelevant when it comes to engine braking. Effect Of The Engine Brake: Is It Really Bad? If engine braking is done properly, it is unarguably the safest method to slow down your vehicle because it offers firm control along with safe slowing down. All you have to be certain of is to not put too much stress on the gears otherwise, your gears will suffer premature wear and tear. It also reduces the drive chain tension. Engine braking uses engine’s compression and internal friction together which slows down the machine and disables the bike to produce motive power. So, there are various considerations about engine braking but it doesn’t necessarily mean it is a bad thing. Numerous drivers downshift and let their engine braking bring their bikes down to an entry speed they are comfortable with. This is indeed a lazy way to cut down considerably on the excess speed. Engine braking shifts the entire traction to the front wheel and can cause the rear wheel to skid and slide. Your aggressiveness while applying this technique can also cause harm beyond repair to your clutch. So, make sure you use engine braking after down shifting the brakes and while keeping the clutch in for extra stopping power. It isn’t really bad. Mountainous terrain offers stunning scenery and exciting curvy roads to the motorcyclists. 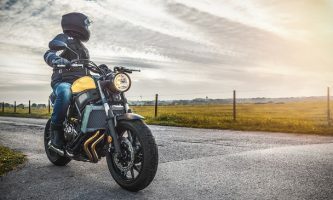 But these awe-inspiring and adventurous roads also pose additional challenges to the rides because of various considerations such as powerful wind gusts, diminishing engine performance, dramatic temperature changes and more. Go easy with the rear brake when going downhill because the significant load is shifted to the front tire. Do not enter corners at great speeds because there is a possibility of losing traction and low siding. ​Practice trail braking for salvaging a corner entered too fast. Various drivers behind you lack necessary skills to drive on mountains. Thus, keep an eye on your mirrors and be cautious to take evasive actions if they overheat their brakes specifically on downhill curves. If there is a cleaning in the trees ahead, do not ride too close to either side of your lane. Drive smartly and safely. In a nutshell, it is ideal to use basic braking systems on your bike. 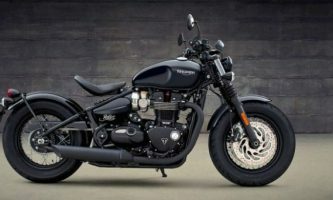 However, if you are seeking for more efficiency in braking, then use both traditional and engine braking systems because that may make stopping your bike faster and safer. So, it is highly recommended to integrate the two braking systems of your motorcycle in tandem with engine braking. If these processes are well-tuned within your mind after long periods of skillful exercising, then you are more likely to use them in an appropriate way when a hazardous situation comes up.